CD is lim.200 copies comes in slim DVD case + insert card..
with Habaneros to Mole Poblano – then it’s time for fine Mexican industrial! 55 minutes power-electronics and harsh-noise sounds about the obsession for crime and murders in mental hospitals becomes an atmosphere of fear. 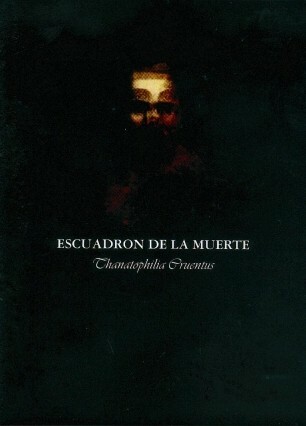 Customer evaluation for "Escuadron De La Muerte - Thanatophilia Cruentus CD (Lim200)"